It's one small step for man, one giant leap for strategy fans on console. Set in a galaxy not so far, far away (actually it's our galaxy), Stellaris is a grand strategy that will take you on a voyage through the heavens. The console world has been graced with a number of real-time strategy games, but nothing quite on same the scale as this. Paradox Interactive has finally brought something to the consoles that some of us without PCs have long been lusting after. Starting just after the discovery of faster than light (FTL) travel, Stellaris sees a number of races take to the stars looking to expand their empires. Beginning on one planet, you start off by investigating your solar system, researching new technology and constructing buildings to collect resources. There is a range of species to play as, including humans, and various aliens who look like things ranging from cockroaches to birds. For our first outing, we chose to play as mankind and started off on a little rock called Earth (you also have the opportunity to randomise your Empire, but we went with a pre-made one). Before you kick off your endless search of obsidian skies for other signs of life, you have to set up the game parameters. This includes the shape and size of the galaxy which can go up to a whopping 600 stars, the number of AI players (10 is the max), AI aggression and their level of advancement, ancient fleets, and among other things an Ironman mode. The experience is so customisable and much of the sandbox is procedurally generated, meaning that it offers something different every time, with different races, distribution of resources, and scenarios with each new game. The first thing you'll notice is that the controls are pretty intuitive. We're sure PC gamers will tell you a keyboard and mouse are better, but to be honest everything felt great with a controller. The menus were easy to access and it felt simple to navigate. There are a hell of a lot of menus and sub-menus to make your way through, but that's part and parcel with this genre. Take our advice and turn on the full tutorial, as it will help you get through the initial teething process. The great thing is, while this is a very deep experience, it's also easy to pick up and start playing. Of course, there are hundreds of things you need to learn, and your first playthrough will be a little superficial (yet still highly enjoyable). So, our first playthrough went a little like this. We started off on Earth, made a few mistakes in terms of over-expansion and ended up having an energy deficit, which in turn limited our research speed. After a while, we righted the ship, and set off on our merry way, boldly star-trekking, around the unknown galaxy. Before long, we met a few other races, one of whom was soon to be our rival. We entered into diplomatic relations with them, but it was quite clear that we were never going to be friends with the cockroaches. Then, we went to war and decided to liberate some of their planets to form a new federation and make a friend. After a truce ended, we went back to finish off our rivals, and just when we thought the galaxy was at peace, a new empire attacked us along with the group we had previously liberated. A war on two fronts devastated and decimated our empire. We felt hurt and betrayed by a group we had tried to help. We will never forget, but it was a fitting end to a great story. Normally, you'd put your controller down and say enough is enough, but something wonderful happened. We instantly wanted to start again. Having learnt new things, we were keen to try them out. We tried and failed so many times before getting the hang of it. Each story was different and just as interesting and fun. We never once got tired, and this is the mark of a great game. There are so many hidden depths to this experience: you can find primitive civilizations and help them reach the stars, follow random stories as they emerge, micromanage your system, kit out your fleet as you see fit, or let a governor handle it. You build sectors, terraform, and colonise. You can choose to be diplomatic or aggressive. There are literally so many things going on that if we listed them all, this review would nearly be as long as War and Peace. Graphically, it looks solid, with the maps looking clean and the ship battles looking rather cool. The menus are easy on the eye, and while the visuals are not the selling point of this kind of game, they will still leave you satisfied, especially when two giant fleets crash into each other during the real-time battles. Then we have the sound. Mind-blowing is a word we'd use. The soundtrack is like a rock opera in space and made us think that ELO had just met John Williams. It made it feel cinematic and we don't exaggerate when we say we felt a bit like Captain Kirk at times. It sounds sublime. If you skipped to the end, you might have noticed that we didn't give it a perfect score. Why not? Well, it's just that there are a few things that would have made it a bit better. Diplomacy could have been much more substantial, and it felt too quick and light in terms of options. The lack of espionage to sabotage rivals was a trick missed, and would have added a new level to the game. These issues didn't overly affect our experience, but they felt like an opportunity missed. The good news is that Paradox Interactive, which is known for supporting its games with DLC, has already confirmed that some expansions on the way. 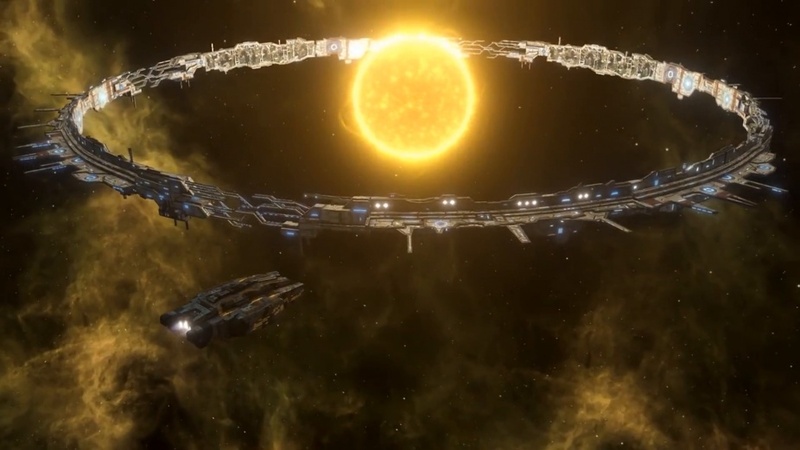 That said, while new content means that we will be playing Stellaris for a long time to come, we can't help but think that these two- and three-year-old content drops could and should have been included in the main game, not partitioned off and sold as part of a more expensive edition of the game. 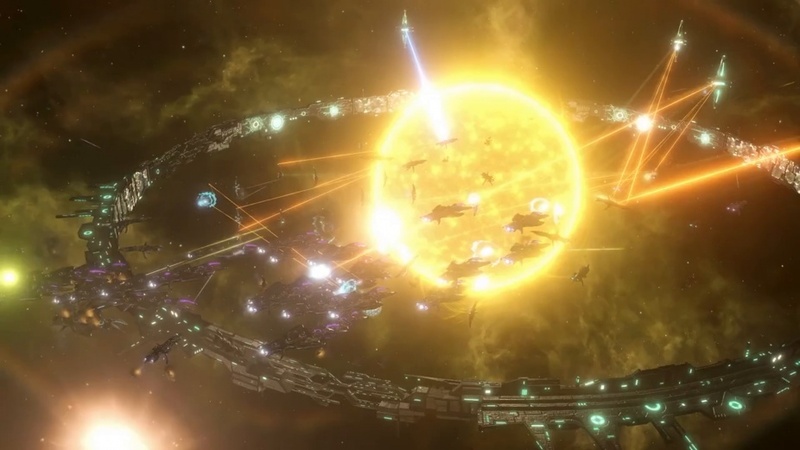 So, in conclusion, we can safely say there's not much like Stellaris on PS4 and Xbox One. This is not your typical console strategy experience, rather it's something you can really sink your teeth into. If you're a casual gamer who likes action, walk away. However, if you want depth, intrigue and an experience that will keep you playing for hours, check it out. Just clear your schedule for a few days, as this is a game that wants you to invest in the long-term. Deep mechanics, interesting galaxy to explore, customisation, lots of strategic fun, replayable, nothing quite like it console. Diplomacy on the weak side, not all PC content included and some is DLC, no multiplayer.